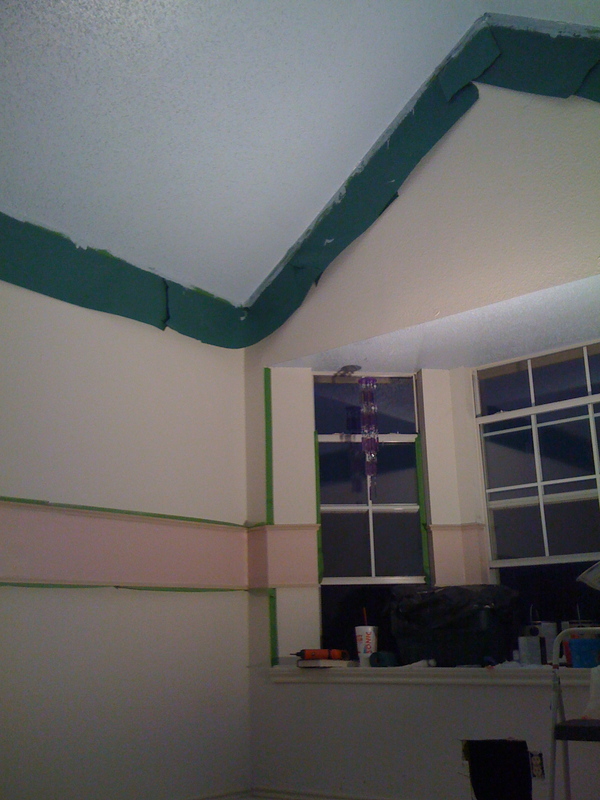 GrandMom T-Berry made great progress getting the room prepped and painting the ceiling and back wall by the time Tara and I got home. 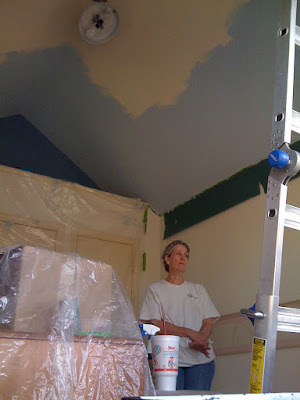 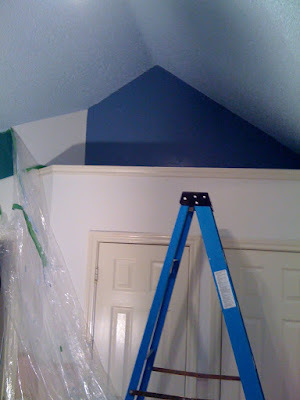 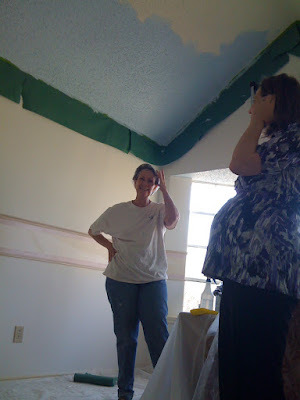 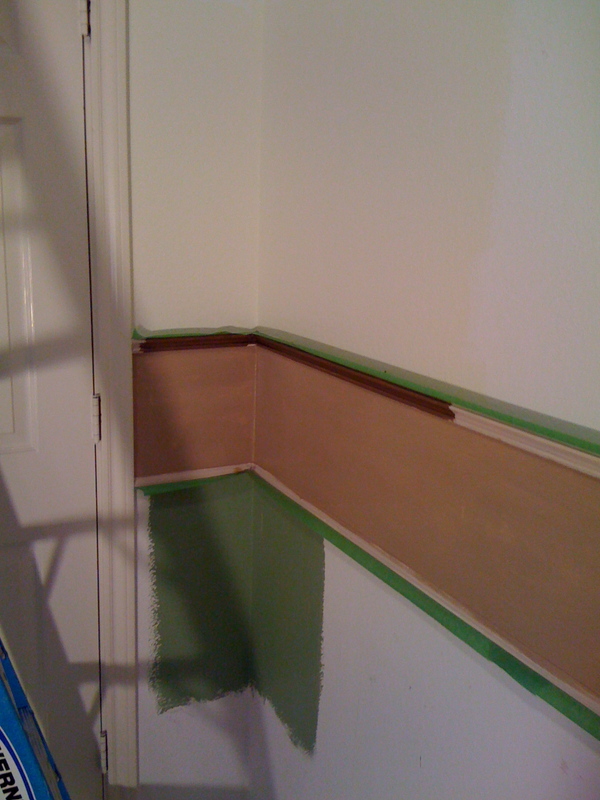 While I finished up the ceiling the ladies verified the paint colors and went and picked up the rest of the paint. Tara taped off the walls while GrandMom T-Berry touched up the back wall and then I had to drag them both away so they would get some rest. I think the colors turned out great!